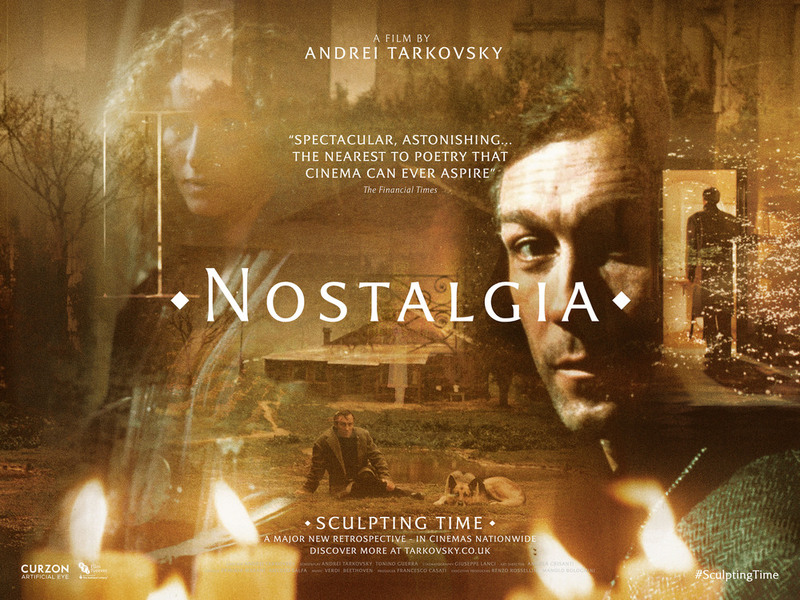 Curzon Artificial Eye is proud to present all seven of the iconic Russian director Andrei Tarkovsky’s feature films in brand new digital restorations, as part of a nationwide touring programme commencing on 20th May 2016. Between May-July 2016, Curzon Cinemas (Soho, Bloomsbury and Mayfair) will showcase all of Tarkovsky's films, plus special events. Friday 20 May, 7.30pm. Bloomsbury. Sculpting Time launches at Curzon Bloomsbury on 20 May with a very special screening of Stalker plus a talk from Takero Shimazaki, the architect whose vision for his RIBA Award-winning redesign of Curzon Bloomsbury was inspired by Tarkovsky's seminal sci-fi road movie. In 1980, the cinema that is now Curzon Bloomsbury was the first cinema in the UK to screen Stalker. Sunday 22 May 2.30pm. Bloomsbury. To introduce the film, James King from Curzon Artificial Eye gives an overview of the Sculpting Time retrospective and discusses the various technical, legal and spiritual obstacles that have had to be overcome in order to bring these seven stunning and utterly unique films back to UK cinemas in brand new digital restorations. Sunday 29 May 2.30pm. Bloomsbury. We welcome Prof. Orlando Figes for a 20-minute introduction on the history and legacy of Tarkovksy's Andrei Rublev. Prof. Figes will present the film as working on a number of levels: an exploration of Russian art and spirituality under the Mongol occupation, which separated Russia from Europe with long-lasting consequences for Russia's development; as Tarkovsky's quest for moral and artistic truth; as his portrait of an artist (but who was he? ); and as a film that had profound contemporary relevance and power for the Soviet intelligentsia in the 1960s and 1970s. Orlando Figes is Professor of History at Birkbeck College, University of London, and an award-winning writer known for his works on Russian history, in particular Natasha's Dance (2002), The Whisperers (2007), Crimea (2010) and Just Send Me Word (2012). Figes is the only writer to have been short-listed twice for the Samuel Johnson Prize. His books have been translated into over thirty languages. Figes serves on the editorial board of the journal Russian History, writes for the international press, broadcasts on television and radio, reviews for the New York Review of Books, and is a Fellow of the Royal Society of Literature. Sunday 19 June, 3.00pm. Soho. Award-winning author, essayist and literary critic Geoff Dyer discusses his obsession with Tarkovsky's seminal sci-fi road-movie Stalker, which was the subject and inspiration of Dyer's own book Zona: A Book about a Film about a Journey to a Room. Geoff is the author of four novels: Paris Trance, The Search, The Colour of Memory, and Jeff in Venice, Death in Varanasi; two collections of essays, Anglo-English Attitudes and Working the Room; and six genre-defying titles: But Beautiful, The Missing of the Somme, Out of Sheer Rage, Yoga For People Who Can’t Be Bothered To Do It, The Ongoing Moment and Zona. Read a Sight & Sound interview with Geoff Dyer on Stalker here. In Andrei Tarkovsky’s Cannes Granx Prix winning final masterpiece, completed as he was gravely ill, a man vows to God that he will sacrifice all he holds dear if an imminent nuclear catastrophe can be averted. Following the screening we are joined for a Q&A with Andrei Tarkovsky's close friend and colleague Layla Alexander-Garrett, the prize-winning author who kept a diary on set and took pictures that were collected into the seminal book Andrei Tarkovsky: A Photographic Chronicle of the making of The Sacrifice. Author and playwright Layla Alexander-Garrett was born in Uzbekistan and studied Russian language and literature, Tibetan language and Tibetan Buddhism, and completed her Film Studies at Stockholm University. As an interpreter, Layla Alexander-Garrett worked with such icons of Film and Dramatic Art as Andrei Tarkovsky on his last film The Sacrifice (1986, Sweden) and Yuri Lubimov at the Royal Dramatic Theatre in Stockholm, as well as at the Covent Garden Royal Opera House in London. Layla Alexander-Garrett is the author of a prize-winning memoir, Andrei Tarkovsky: The Collector of Dreams and a photo album Andrei Tarkovsky: A Photographic Chronicle of the Making of The Sacrifice. She has written, directed and produced a short film, The Yawning Man. She is also the author of the plays Gaspard de la nuit, The Hanged Man, Not Losing a Son and English Breakfast. 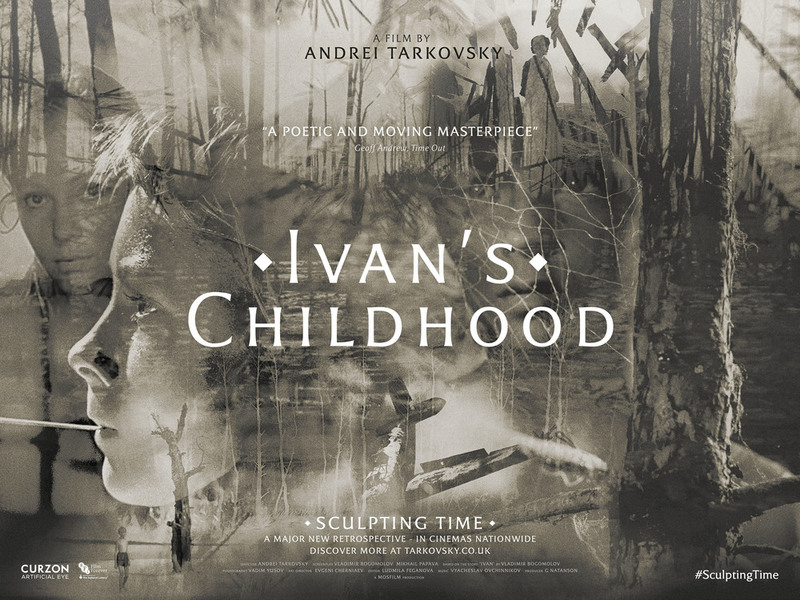 Calling all completist cinephiles: win an exclusive bundle of all posters designed specially for the Andrei Tarkovsky - Sculpting Time retrospective. For a chance to win, pick up a Sculpting Time - Complete Tarkovsky card from Curzon Bloomsbury and ask staff to stamp/sign it for you when you see films in the Tarkovsky season at participating Curzon Cinemas. Simply return the completed card with your name, contact email address, phone number (and Membership number if applicable) to the address below to enter.